'Blenheim Lodge . . . panoramic lake views, peace and tranquillity, nestled against 50 acres of beautiful National Park in the heart of the English Lake District.' You are assured of friendly hospitality and a personal touch in our lovely family home! We welcome YOU! 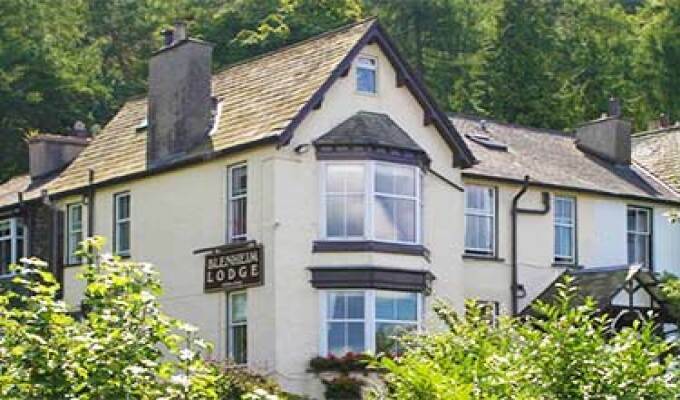 Away from the traffic and crowds, and nestling against acres of beautiful National Park fields and woodlands, is our secluded Bowness guest house offering bed and breakfast accommodation just 5 minutes walk from the centre of Bowness village and Lake Windermere.